GT Dave (that's his actual birth name) first started his kombucha business in 1995 when he was 15 years old, bottling and selling kombucha -- a fermented tea that's said to boost drinkers' immune systems -- made originally by his parents. At that point, there was practically no kombucha market to speak of. After two decades, the global kombucha market generated revenues of more than $1.5 billion in 2017, according to Mordor Intelligence, and is expected to grow at an annual rate of 17.5 percent from 2018 to 2023. His company, GT’s Living Foods, dominates the market now by far, but competition is increasing. Kombucha upstarts, including Humm and Health-Ade, have started to gain traction. 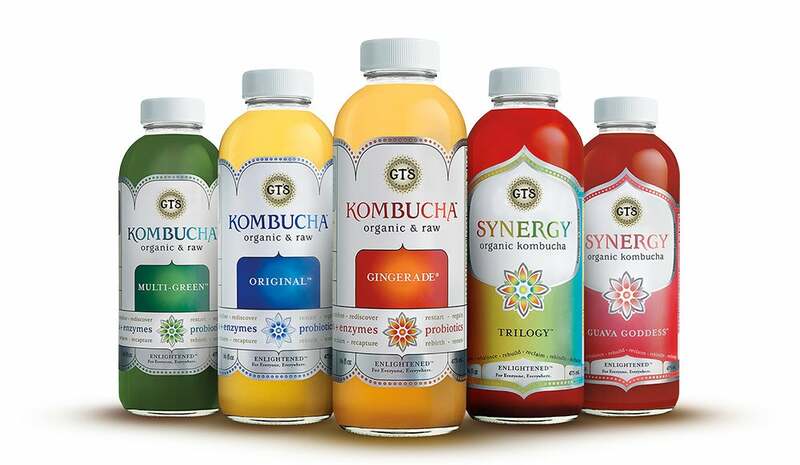 Food conglomerates have also entered the kombucha market, with PepsiCo's acquisition of KeVita in 2016 and Coca-Cola's purchase of Organic & Raw Trading Co. in September. Despite the new players, Dave said that most consumers are still unaware of kombucha, which is both a blessing and a curse. "Competition is good for every category because it keeps innovation at the forefront and keeps brands nimble and agile and even humble," he said. "But you start to see the bastardization of a category. Kombucha currently doesn't have a standard of identity. There really is nothing that is prohibiting or preventing any one brand or company to come out with a beverage that they [label] kombucha." He called out KeVita and Celestial products as being practically soda, without offering consumers any of the health benefits kombucha offers. Still, Dave welcomes the challenges that come with the added pressure on his company. "We have a story to tell. Kombucha is something very special to us," he said. "It's been, if you will, a mission that has chosen us more than we have chosen it, and because we are 'category creators,' it's our responsibility to make sure that kombucha doesn't lose its identity in the process of becoming more popular and mainstream." GT's products can be found in Whole Foods, WalMart, Costco and many other retailers (an estimated 100,000 stores total). Its popular kombucha flavors include Gingerade, Trilogy (raspberry, ginger and lemon) and Watermelon Wonder. The company recently introduced a line of kombucha flavors inspired by adult beverages, including wine, beer and a tropical cocktail, as well as a sparkling water with CBD and caffeine. GT's also sells teas, yogurts and kefirs. Related: Did the Staff at Entrepreneur Feel the Vibes of This Kombucha Brand? Here are more quotes from Dave on business and passion and why he dislikes the term "serial entrepreneur." "Making kombucha was kind of a blessing. I started making it -- not because I thought it was going to be a great business or it was going to make me very wealthy or famous -- but I truly believed it was just going to help others. And that is the reason why I started, and that's honestly the reason why I do what I do today." "If any entrepreneur is motivated by the financial aspect of how fast they're growing or how profitable they are, they at some point are going to be disappointed, frustrated or lose their creativity. Profit and integrity don't coexist well. The creative process in making a high integrity product in a way that our consumers connect with is the most fulfilling aspect of what we do. The money, all that stuff, is just secondary. I try not to get caught up in some of the business mechanics that I think a lot of business owners and entrepreneurs can get caught up in, whether it's the lawsuit or the losses or margins." "It's important for anybody running a business to see how easy come, easy go things can be. It really does change your perspective, because it's common and frequent that entrepreneurs get so caught up in certain things like growing fast enough, hitting goals and becoming profitable. You're constantly raising the bar, and if you don't hit that bar you start to feel disappointed and a failure." "With the new name, it does two things. One is, it's giving us permission to be more than a kombucha company. It's important for any business owner to understand and recognize that what you're doing today is bringing awareness, but you need to use that as a launching pad for other ideas. It's important that entrepreneurs never stop taking risks. The second half of that is, with the living foods aspect, is it's putting a stake in the ground or establishing a north star of who we are and who we aren't." On why he dislikes the term "serial entrepreneur"
"When I hear the term 'serial entrepreneur' I get a little sick to my stomach. In my mind it's people who are a little ADD and people who just like to do a lot of things. Unfortunately, a lot of times entrepreneurs are known for starting things but not finishing them, which is a lot of times why you see an exit or a sale. They just like that thrill of that newness. That newness is intoxicating, and it's incredibly exciting, but it's actually more impressive to start and build then to just start."